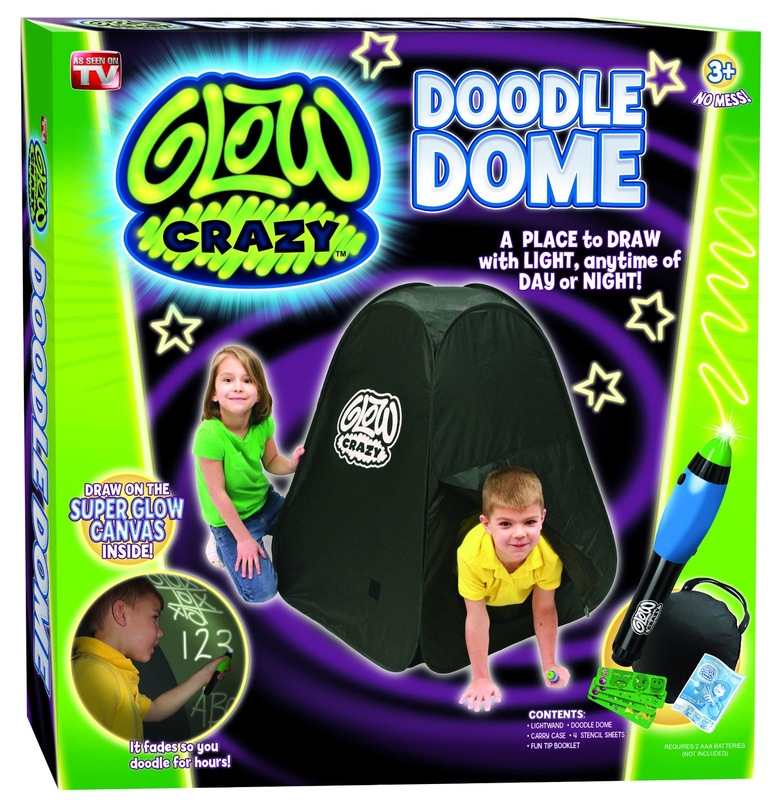 To keep my boys busy as we wait for Spring to finally get here I introduced them to the Doodle Dome Glow Crazy. They are having a blast together! Now, kids can play in the dark anywhere, anytime of the day with this portable glow art studio from Techno Source. 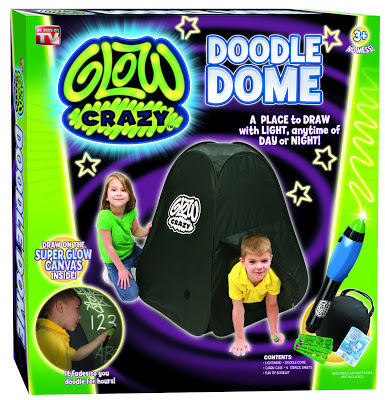 With the Glow Crazy light pen they can draw, write and play games on the dome’s special inner glow wall. Kids can also put on light shows for their friends and family, use stencils to create cool glow scenes, and make fun silhouettes using their hands, toys, or even their friends. Kids can let their glow creations fade or “glow over” them to clear their canvas and start again. Includes light pen, 4 stencil sheets and everything needed to assemble the glow dome in a handy carrying case. The boys have been spending hours playing in their Doodle Dome. They love that it is dark like a cave and they have their own "secret" hide out. The possibilities of what they can create is huge, they love the stencils but using their imaginations is priceless. *Limited to US residents 18 years old and above. Giveaway starts March 26, 2013 and ends on April 9, 2013 at 12:01 am EST. Winner will be emailed and has 72 hours to respond before another winner is selected. I was not paid for this giveaway or post. The opinions on this item are 100% mine and may vary from others. The sponsor is responsible for providing the prize. I was sent a product to review for this post. This would be for my daughter; she would love it! I would give the Glow Dome to my friend.